Looking for a quick, beginners guide to kitchen cabinets? Then, you are on the right page! When you go into a kitchen, one of the first things you’ll notice are the cabinets. 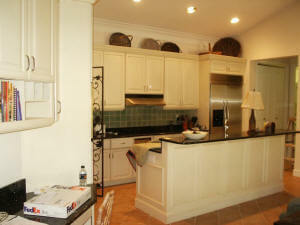 The design of your kitchen cabinets will play an important role in the look and feel of your kitchen. While quality kitchen cabinets can enhance the look, cabinets which are low in quality can hurt it. Because of this, It is important to know what to look for when you’re shopping for cabinets. Even if you’re on a budget, it is possible for you to buy cabinets which will give your kitchen the look you want. Whether you’re buying cabinets for your kitchen or bathroom, you will find that they make up about 50% of the cost involved with remodeling these rooms. This is why it is important to set aside a budget. Many people begin shopping before they do this, and it can hurt them in the long run. Setting up a budget will allow you to buy the best cabinets you can afford. After you’ve put together a budget, you will next want to take measurements of the area where you want the cabinets to be placed. This should be done before you call a professional to your home. This way, you will be able to give them precise measurements which will make things move a lot faster. Taking measurements will also allow you to communicate with salespeople you encounter at furniture stores. After you’ve taken precise measurements, you will next need to decide what type of cabinets you want to purchase. While there is an unlimited number of designs for cabinets, they are divided into three basic types. These types are custom, semi-custom, and stock. The stock cabinets are the cheapest of the three and are mass produced. They will only be available in certain types of woods, and their sizes will also be limited. These cabinets will typically be made out of wood which is low in quality. Stock cabinets are very limited in what they allow you to do. At the very best, they should only be purchased if you can’t afford to buy anything better. While semi-custom cabinets are also built in factories, they are only mass produced by size. They have a much larger selection of styles and storage options. In fact, they are excellent for the homeowner who wants cabinets which are better than stock but cannot afford custom cabinets. They are also good for the real estate investor who wants to purchase homes, fix them up, and then sell them for higher prices. Custom cabinets are the third option and are the most expensive. These cabinets aren’t limited by size, storage, or style. They can be extremely expensive, and will usually be purchased by homeowners who plan to stay in their homes for a very long time. Custom cabinets are not built in factories. They will typically be constructed by a shop which specializes in them. A carpenter who is also an artist will both construct and paint them by hand. Some homeowners even import custom cabinets from Europe or other places. 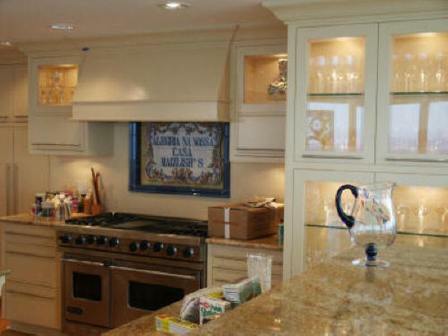 These people will place no limits on how much money they spend on their cabinets. The number of things you can do with cabinets is unlimited. You can add a section for appliances, or you can add a rack for wine. If you only plan on living in your house for a short time, or you are a real estate investor, stock or semi-custom cabinets will be a good option. However, if you’ve purchased the home of your dreams, and you plan on living there for a long period of time, you will want to buy the best you can afford. Even if you cannot afford custom cabinets immediately, you can set aside some money and save for them. Eventually, you will find that your investment has paid off. If you want to purchase cabinets, you may not be sure what design you want to use. While semi-custom or stock cabinets can be purchased within a few days, it may take weeks to get custom cabinets depending on how they were designed and shipped. Custom cabinets will be built on site, and you will need to make sure you are comfortable with the carpenter you are using. They will typically be able to show you samples of their work. In addition to the overall design of the cabinets, you will also want to look at the finish. There are a large number of finishes that can be used on your cabinets. The best finishes are those which are hand-rubbed onto the surface. The finish may also be baked on. While you don’t want to pay too much for your cabinets, it can be a grave mistake to pay too little. You should find a price range which suits your budget. There are a number of online sources where you can get information about cabinets. You can also look through magazines. To purchase the best cabinets for your home, you must first understand cabinets. It may not be a bad idea to take the time to learn about the different types of wood available. It is also important for you to understand the basics of remodeling your kitchen. You will want to choose cabinets which are perfect in size, shape, and color. They will need to match the other items you have in the kitchen. Another difference between stock, semi-custom, and custom cabinets is the amount of time it takes for you to receive them. It is also important to make sure you purchase your cabinets from the right company. Because of the importance of cabinets for your kitchen, all manufacturers should provide you with some type of warranty. This warranty should cover a wide range of issues and should last a long time. They should also have an excellent reputation. The people that you work with should be knowledgeable, and they should also love what they do. Their love for their work will translate into you getting a superior product. It may even be helpful to invite the designers to your house to discuss blueprints and measurements. By looking at your kitchen, they may be able to make suggestions which you have not considered. If you are the type of person who likes to do things yourself, you will probably want to know how to install cabinets in your home. In this section, I will go over installing base cabinets and single wall cabinets. Understanding how to do these things yourself will save you a lot of money, but you will also need to have a lot of time on your hands. I will first start this article by teaching you how to install base cabinets. This section is designed for those who want to install cabinets in their home. Even if you have made a computer blueprint for the area where you want to add the cabinets, you may find that they are not 100% accurate. The very first step of adding cabinets is to find the highest point in the area where you want to install the cabinets. You will want to choose the highest point because all of the cabinets will need to be shimmed to a higher level. For this tutorial, we are going to begin in the corner, and I will be using a Lazy Susan base cabinet. You may need to use a few scraps of tile to make sure the floor is level in all areas. You will need to check the level of the floor in all directions and add shims to places which need it. The Lazy Susan that we are using has a cover panel which conceals the side. Your cabinet may have this as well, or it may not. The stove will sit next to this. The next thing you will want to do is put together the base cabinet to test how the parts fit. If your base cabinet has a cover panel, you will want to clamp it to the face frame of the base cabinet. For this example, we used holes which were drilled for 2 1/2″ deck screws. You may be working with a different cabinet, so you can adjust the size to fit whatever specifications you need. You may also need to use 2×4 cleats to support the counter, but it should only be done if it is necessary. For some base cabinets, cleats must be used, but this may not be necessary depending on the model you’re using. 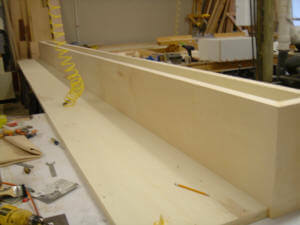 The cover panel of the cabinet will need to be attached to the cleat with nails. Using a cleat to connect the cabinet to the wall will keep it from moving while you construct it. After you’ve installed the first base cabinet, you will next want to look at the other side of the areas where the cabinets will be placed. If you need to level the floor, you can use more shims or tile. After this is done, you will want to add the next unit. After it has been added, the cabinets will need to be connected. The next thing you will want to do is connect the cabinets together. Now that you’ve added the first two cabinets, you will want to add the sink base cabinet. As the name implies, this is the cabinet that will hold your sink. You will need to cut open holes for the pipes which will bring you water. The holes which will fit the pipes will need to be cut at the bottom, while the holes for the drain will need to be cut in the back panel. You will need to measure the size of your pipes and drain to make sure it is correct. Once this has been done, you will want to connect the two cabinets. When you install cabinets, you will want to connect them together in what is called a face frame. This should only be done with cabinets which are adjacent to each other. You will want to connect them and adjust the frames of the face so that they are perfectly aligned. Also, you’ll need to make sure holes are drilled with long screws, and 2 1/2″ deck screws should be perfect. You will need to make sure the face frames are connected tightly. After this, you will want to fasten the cabinets to the wall. The screws can be pushed inside of studs. All you will need to do is repeat this process with the other cabinets. You will need to make sure you leave space for things such as your dishwasher and fridge. The standard dishwasher will fit into some space that is 24″ wide. I will next show you how to install a single wall cabinet. The first thing you will want to do is draw a line on your wall to mark the very top of the single wall cabinets. After this, you will want to add a bottle jack on top of the counter below where you will be installing the cabinets. You will now want to place the cabinet on top of the bottle jack. Make sure the back of the cabinet is against the corner. After you’ve done this, you will now want to jack the cabinet up into the desired position. The jack should be placed in front of the center of the cabinet bottom to keep it from tumbling forward. You will now want to drill holes in the studs and add 3 1/2″ screws. Make sure you don’t screw them in too tightly. You will want to purchase screws that have wide heads. Even though they can be expensive, they will hold the wood tightly. You will now want to look at all sides of the cabinet to make sure it is level. You may have to add some shims to the back. Once you’re certain it is level, you want to push the screws in. Once all the screws have been placed in the panel, and the cabinet is set in place, you will want to test it by grabbing the cabinet. You will now want to hang from it. If it has been installed correctly, it should be able to support your weight. This should only be done by people who weigh no more than 150 pounds. If too much weight is added, the cabinet can collapse. You just want to make sure it can support the weight of more than 100 pounds of canned food. Once you’ve done this, the cabinet is complete. There are many decisions you have to make when it comes to your home, and choosing kitchen cabinets is one of these necessary decisions. Choosing kitchen cabinets is not simply an open and shut matter. Rather it is one which should be taken carefully into consideration, with all options and choices thought about thoroughly before making any final decisions. The choices available in regards to the door style, wood, finish, and other options of kitchen cabinets are seemingly endless, which can make the task seem rather arduous. 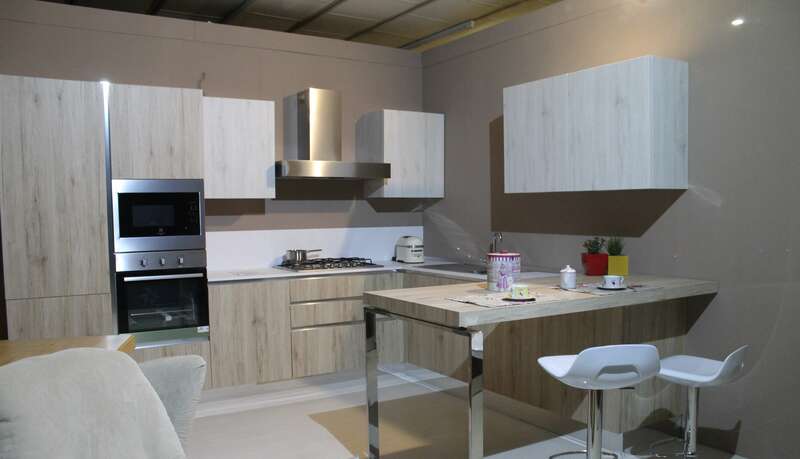 However, there are certain steps that you can take which should help you to at least narrow down the available options, making you one step closer to finding the kitchen cabinets that are perfect for you and your home. First, you should completely analyze your kitchen layout as well as your family’s lifestyle. For instance, if you have young children you may want to consider that there will be lots of things to put on the kitchen cabinets, as opposed to if you live alone and then there could be different cabinet options. You should plot and determine what items you will need to store and display, and also consider any and all accessories that will be involved in your daily kitchen activities. Next, you should try to get at least some form of professional guidance. Whether this comes from an actual professional, or simply a friend or family member who has had their kitchen cabinets done recently. Getting another opinion is always a good idea, whether you end up agreeing with them or not. Also, you should choose stock cabinets, if controlling the cost is an issue for you. This is because these stock cabinets are mass-produced, which means that you are basically buying them at wholesale prices. Selecting the wood and finish for your kitchen cabinets is perhaps one of the most important steps in this process. As the particular wood and finish you choose needs to not only flow well with the rest of your kitchen décor, but also must be pleasing to you, as well as pleasing to you. Some particular favorites for kitchen cabinets are oak, maple, and cherry, particularly for their long-lasting, solid structure. If your old cabinets are in good shape but you find them to be dated, you can always refinish them instead of completely replacing them. You should also remember to investigate some manufactured finishes such as laminate, or thermo foil. For example; the main reason for this being that both of these are easy to clean, and although they are far less expensive than most hardwoods, they are also less durable. Basically, the most important tip to remember when choosing kitchen cabinets is to decide on what you like and what you are hoping for before doing anything. For example, if you love the look of an expensive hardwood, keep in mind that there are less expensive woods that can be stained to look like your actual choice. For instance, you can order a cherry finish on pine. Don’t forget to check out our guide on the best paint sprayer for cabinets!